The German Games Industry Association – known as game – has announced plans to "reassign" the organisation of the developers conference, Devcom. A newly-established subsidiary of game, Devcom GmbH – which sponsors the world’s largest gaming event, Gamescom – will be taking over organisational duties of the developers conference from prior host, Aruba Events. Aruba has been reassigned to "focus on the strategic expansion of the CMG in-house brands", and the prior Devcom lead, Stephan Reichart, "will now assume the management of the new Devcom company full-time" as managing director. "Devcom is the most exciting conference project in all of Europe. Its proximity to Gamescom, the international market and the new organisational structure give us a lot of leverage to further solidify the status of Devcom as one of the leading developers conferences in Europe," said Reichart. "Our aim will be to make Devcom the most important meeting point of the European and international developers’ scene within the framework of Gamescom. For me personally, this new responsibility is a true highlight of my career, so I very much look forward to focusing on it immediately and at full strength." 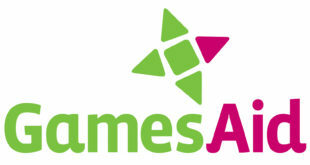 "The market for developers conferences in all of Europe is very much in flux," added game MD, Felix Falk. "In the future, following the strong development of Devcom in its first two years, we want to even better utilise the huge potential of the conference given the great opportunities it offers. 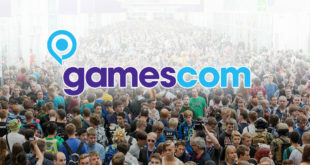 Through the new company, Gamescom and Devcom will be more strongly interconnected, which is intended to further reinforce the status of Devcom as one of the most important European developers conferences. We have exactly the right Managing Director for the new Devcom company in Stephan Reichart, who is bringing all of his energy and his extensive network to the ongoing development of the conference." In other conference news, Gamer Network recently confirmed that EGX, the UK gaming expo, will be returning to London, UK, on October 17th – 20th, 2019. Despite holding the event in the more central location of Birmingham for the last four years, the team says they have "listened to [their] fans" and are "bringing the event back home" to the capital. This will be the first time the event will head to the Docklands-based ExCel.